Narrative Style: Mix of viewpoints. Generally linear. Synopsis: Crowley like magician, Burgess tries to summon Death, in order to live forever. Instead he gets Dream (or Morpheus or The Sandman). He keeps him prisoner and steals items from him. Eventually, those guarding Dream make the mistake of falling asleep and he escapes, aiming to wreak vengence on those who imprisoned him and to get back the things that belong to them. 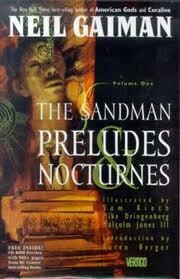 When this genre came up, I knew immediately that I would read one of The Sandman books. I had read a couple of the comic books a long time ago – from the middle of the series but the nature of these stories means they can be read out of sync. I thought it would be nice to see if they stood up to the test of time. I also knew that Gaiman’s subject matter would be pleasing to me and I hoped to enjoy this as much as other things that he has written. So I asked a friend who is a big fan to loan me the first book. Preludes and Nocturnes was definitely a page turner. I read it quickly and not just because obviously the words per page are less than in a novel. I wanted to know about Dream’s revenge and how he would regain the tools of his trade. The action did not disappoint – from duels with demons in hell to the spectacular nightmares unleashed on the world by John Dee- and I was often surprised at the turn that events took. At the end of the book, I wanted to read on straightaway – which was okay because I have been loaned a copy of the next book as well. I have an awful feeling I’m going to end up buying the rest. The character of Dream is not really what I would have expected from the character of The Sandman. my impressions of The Sandman before reading any of this series was much more whimsical. I’m sure I’m not alone in having quite a dreamy, sweet picture of the man who brings you dreams at night. Of course, this discounts the idea of nightmares completely. In fact, few dreams are ever straightforwardly lovely – at least in my experience. It makes sense then that Dream should be a harder, more difficult character. And he is one of the Endless along with Death and Desire and that gives him an isolation from the humans whose dreams he crafts. There is something attractive about Dream – perhaps this is as it should be – even though he is not a nice person if that is even an appropriate thing to say about an anthropomorphic personification. The illustrations are amazing. Vivid and nightmarish, they make the story come alive for the reader. The use of colour is often jarring as if to ensure that this is recognised as being a fantasy world. They are the perfect way to capture the ideas in Gaiman’s imagination. If there is anything to complain of here, for me, it is the fact that their is less work for my imagination to do. Imagine the prose that would describe some of these drawings. It would be truly amazing to read. That said, there is nothing intellectually lacking about these stories. They stand up to rigourous scrutiny along with the best of fiction. Much recommended. 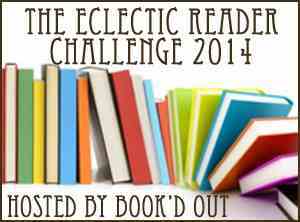 I would be interested to know if you would read the novel having read the graphic adaption? No, I haven’t although I think I would like to.